While some OEMs hit big at EICMA with the debut of new concepts and new bikes that got us excited for 2019, Triumph kept things a little more low key. We were hoping to see the upcoming Speed Twin take the stage; especially since images of the bike taken at the Annual Dealer Meeting have recently been leaked, but no. No new Twin in sight in Milan this year. I guess with the big unveil of its latest pride and joy only a few weeks ago, Triumph is letting the dust settle and giving the Scrambler 1200 hype follow its course. Instead, the company introduced two special edition T120s. Fine, we’ll take it. The Ace and the Diamond could have been a really cool Alice in Wonderland-themed duo, however, the two names have nothing to do with one another. 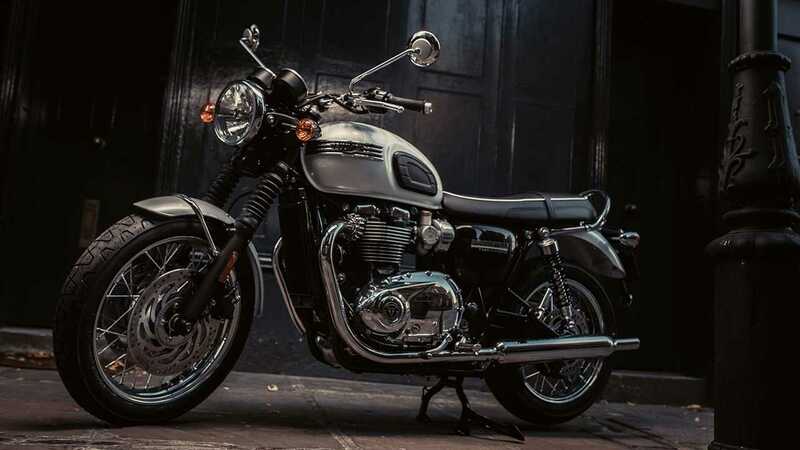 The 2019 Triumph Bonneville T120 Diamond is a celebration of the Bonneville’s 60th anniversary and with 60 successful years on the market, we get to celebrate the model’s Diamond jubilee. This edition of the T120 will be extremely limited with only 900 units that will roll out of production. The limited-run edition comes with an exclusive White and Silver paint with a Union Jack flag decorating the tank and a “T120 Diamond” inscribed on the side panels. The Diamond also features chrome badging and chain guard. 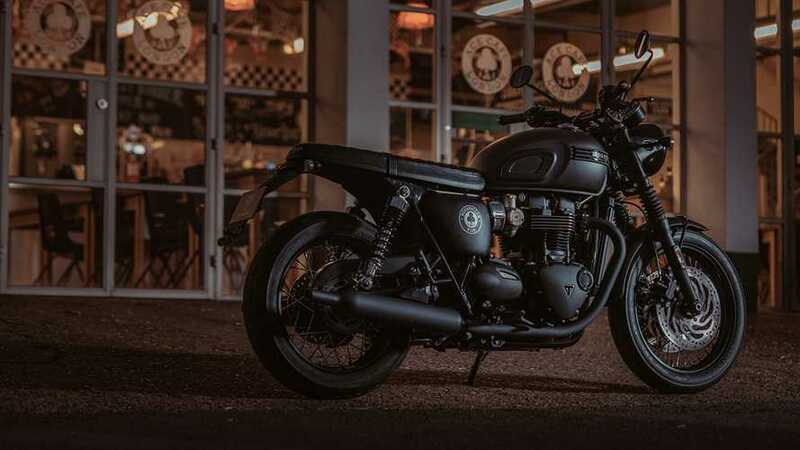 As for the T120 Ace, we’re looking at a celebration of the café racer legacy and of London’s Ace Café, considered the “spiritual home of classic British motorcycling.” Though it would have been interesting to see a Thruxton in Ace livery—a proper café racer model if you ask me—this blacked out Bonneville is looking pretty swell. It features a matte Storm Grey paint with contrasting centre stripe and ‘Head Down, Hold On’ design (the café’s motto) as well as dedicated T120 Ace graphics. It also receives black 4 bar Triumph tank badges, intake covers, engine badges, and seat. It also gets a minimal fender set up and a set of bullet LED indicators. The Ace will also have a limited run and 1,400 units will hit the market. Alongside the two limited editions, Triumph also unveiled its new TFT Connectivity System that will now offer turn-by-turn navigation, an integrated GoPro control system, as well as Bluetooth connectivity with phone controls. Looks like we’ll have to keep waiting to see the Speed Twin, but the Ace and the Diamond are looking pretty great.